Our biggest event of the year is back and you’re invited! 20% off of your purchase* | Free beverages (wine time!) 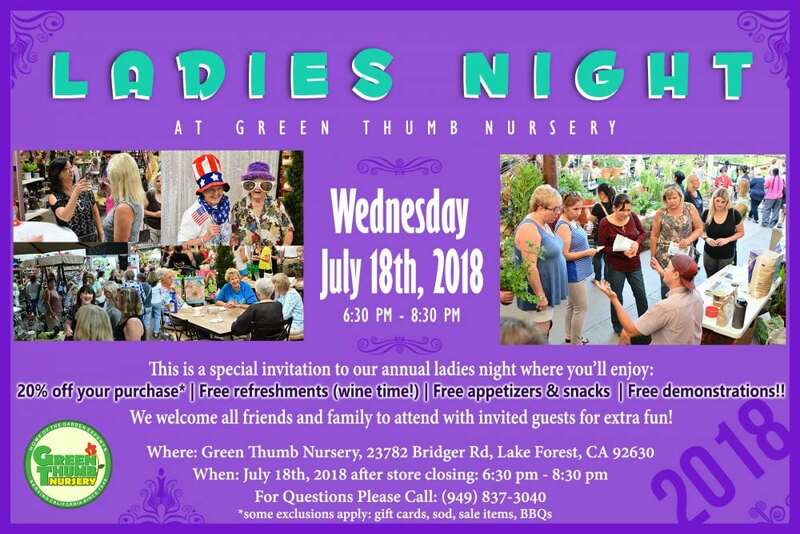 | Free snacks and appetizers | Free garden demonstrations | Super fun social shopping event for our favorite Green Thumb ladies!! Invite all of your girlfriends and family and let’s get ready to have some FUN at the THUMB while shopping, learning and enjoying! See you there!